This week we had 35 players in the 4 person yellow ball competition. The rain which was forecast did not materialise, so we enjoed near perfect conditions. Welll done Jan this was your 3rd win in as many competitions – your practice has paid off! Next week is the Anniversary trophy which is a pairs betterball with partners and times drawn next Wednesday at 8 pm in the Condado Club. The list for entries is in the golf shop. Also you have until then to get your tickets for the presentation party in the club – 12 euros including hot & cold buffet, disco, karaoke and 2 free draw tickets. Also the sale of society shirts and caps are going well at 15 euros and 8 euros respectively. Next week is a 4 person yellow ball competition. In 2 weeks it is the Anniversary Cup with evening buffet and entertainment in the Condado Club. Admission is by ticket (12 euros inc raffle). Please get tickets ASAP so we know how many to cater for. The date given for hollow tining has been changed. It is now 23/24/25th April so will not now affect the Seve Trophy which is scheduled for May 11th. There are 5 positions up for re-election at the AGM (March 7th): secretary, treasurer, competitions secretary, handicap secretary and social secretary. 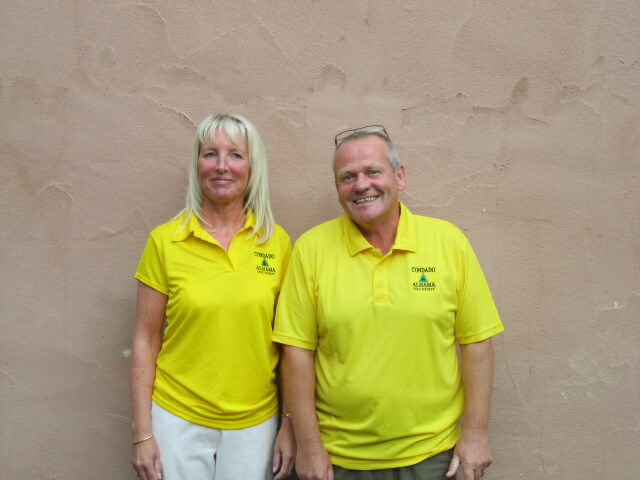 If you are a member and believe you are suitable for one of these roles, and feel you can put in the time required to fulfil this obligation send your name to the secretary – cath@cdagolf.com with a nominator and seconder (must both be current members). The closing date is February 22nd. This also the closing date for motions to be accepted for discussion. If any member has a concern about the running of the society please approach a committee member first to try and resolve any issues. 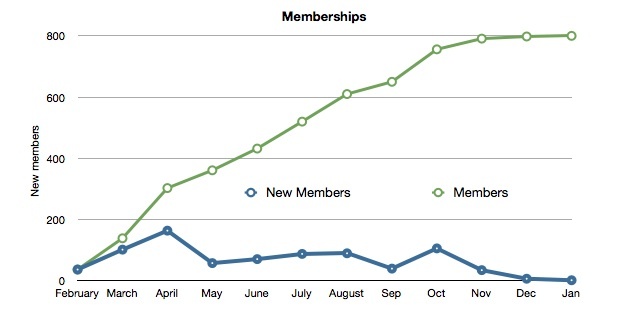 Now that winter is upon us new memberships have tailed off over the past few months but we have attracted an average of 70 new members each month so this week saw a milestone for the society with the number of paid up members reaching 800. Whilst the membership list shows 834 members some like the committee and Juniors get free membership and there are still a few that have not paid. Last October I published a short summary of the societies expenditure so here’s a quick update. In the six months since March these running costs have totalled just over €850 or around €85 a month which is pretty good considering the size of the Society. Since March we have held a number of major competitions as well as the normal Friday game, at all of these events additional prizes are presented to the winners over and above those covered by the entry fees, there is also a free members draw where Society Shirts, hats, towels, balls, pitch repairers etc etc have been presented, these prizes total just over €1600 from society funds with more to come over the coming months. The full accounts will be presented at the society AGM in March, but if you have any queries then please contact either myself or a member of the committee. Another trip down memory lane (above). A funny old day, with some player’s dress code varying between shorts and fleeces! However, by lunchtime it was a beautiful day with only a hint of a breeze. Both teams came in with a gross 68 (4 under par) but the winners came out on top due to their higher handicap allowance. Next week is a blind pairs comp (blindfolds not required). Monday will be sort your own game out, but Wednesday Dave Lloyd will organise an individual stableford competition. Global Golf have offered to sponsor a tournament in their name with a trophy and prizes. Initially we suggested March 2nd, but on reflection decided Monday March 5th would be better, as the AGM is 2 days later and more players would be available to play. Also Monday will give the organisers an extra competition (and revenue). We are awaiting a reply from Global Golf. We have just been informed of the spring hollow tining program – unfortunately it is on May 7th,8th and 9th which is the week we had planned for the Seve Trophy. It is probable that we will bring that competition forward so that it will be played with the course in its usual immaculate condition. For this fund raising event for the Seve Ballesteros foundation (brain cancer) Ken Saunders has kindly offered to sponsor the trophy, but the committee would like volunteers to come forward to form a sub committee to manage and run this special occasion. Please contact me at barry@cdagolf.com if you are interested in getting involved. Our 1st AGM will be on Wednesday March 7th in the Condado Club at 7pm. Anyone wanting to propose a motion to be voted on should do so between now and February 22nd (the 2 week cut off date for proposals to be accepted). Please forward anything to the secretary (cath@cdagolf.com). This week we had 23 players in the monthly Apollo Air individual stableford. It was very warm and sunny, but this was accompanied by strong winds which had a significant effect on scoring. Lots of players had stories of balls settling by the pin only to find when they got to the green it had blown off the green. Not one player played to their handicap but the winners got their reward for being patient. Remember that the yellow society shirts are now available in men’s and ladies sizes. See models above! This week the committee had a meeting with the new management company Global Golf who took over the running of the course on January 1st. It was a very productive meeting and it appears that we will be able to work together for our mutual benefit. There were many positives for us from the meeting, and perhaps the few negatives were of minor importance. I shall share with you some of the issues discussed, but there are still some points which need to be confirmed by Global Golf before I can confirm them. We shall email the minutes to them for confirmation of the facts. A manager will be on site full time – this was a source of frustration in the past when we could not contact Olagolf or they did not reply to our communications. Cristobal will be the manager based in the golf shop. He started with the company on January 4th, and is currently being trained by Manuel Balonces who has a similar responsibility at El Valle. Membership rates have remained the same except there is now only a 5% discount instead of 10%. 3 course membership is no longer available, but annual membership of the full 6 Jack Nicklaus courses has been introduced at a very attractive rate. Alhama is 1140e (individual) and 1520e (family). 6 courses is 1520e (individual) and 1900e (family). Family is up to 4 with children up to 25 yrs old. All current membership deals currently running will be honoured. 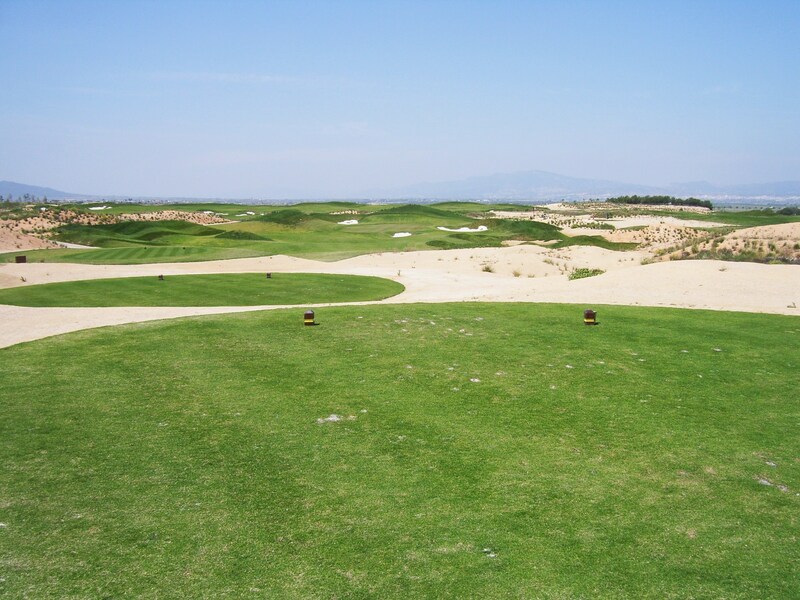 Packages are also available such as 10 rounds for 380 euros amongst other offers. Also at the moment you can get 45 balls for 1 euro at the practice area! The society captain will receive courtesy of the course on any society day. We will continue to receive a weekly voucher, but all restrictions imposed by Olagolf will be removed. It previously had a fixed expiry date – e.g. a voucher won in December had to be used by the end of December! Now there will be a 6 month expiry date on each one from the date it is issued. 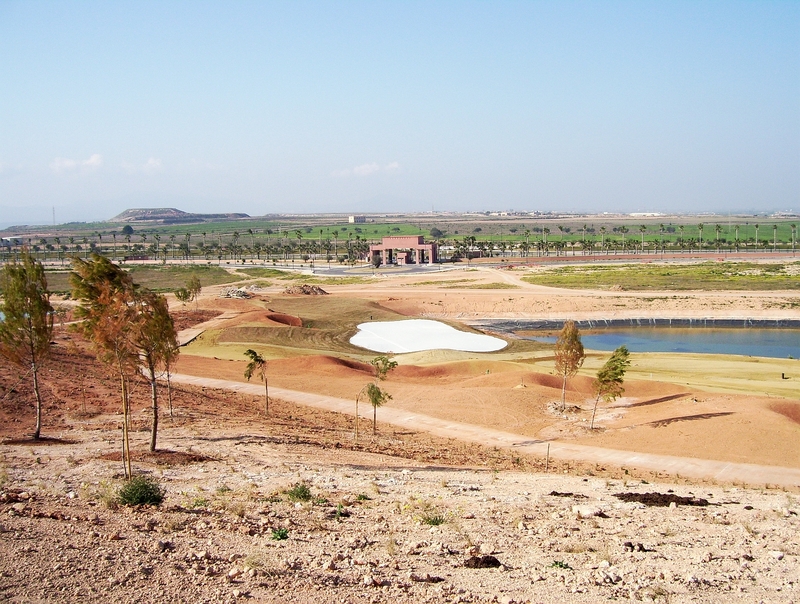 Also the voucher will be valid on all 6 Nicklaus courses – not just the 3 Olagolf courses as previously possible. The vouchers we get will be based on the Rapel system? which means that with a large entry we may get more than one. Also Global Golf will give us monthly gifts to be used for prizes or free draws (e.g. an iphone, coffee maker etc). They will also sponsor major events like Captains Day. They are also keen to sponsor a day of their own with a trophy and prizes. We have chosen March 2nd for this, subject to their agreement. It is the week of the AGM and there may be more players here that week. They are also keen to promote inter-society competition between the 6 courses. Again they will sponsor it with cocktails after. They will be actively involved in the organisation and the presentation of trophies. The society noticeboard has been removed from the golf shop for some unexplained reason – perhaps because at all other courses it is in the changing room area? It is now in the corridor but in full view from outside if the shop is closed. As long as all members are aware it should not be a problem. Members of the society shall only receive the society rate when playing on one of our blockbooked times (e.g. on Monday, Wednesday or Friday). There is still some negotiation ongoing concerning the price, but it will definitely be no more than the current 40 euros including buggy (when available). It was stated that the banks (IRM) have plans prepared for a permanent clubhouse, but there is no timescale on that so don’t expect it yet! We feel that Global Golf have given us a good deal. 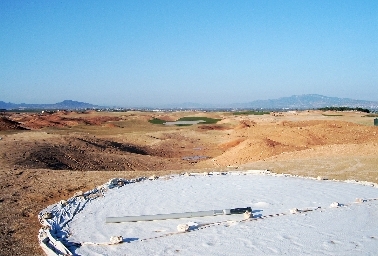 They have a vision to progress the course and increase the number of golfers using it. 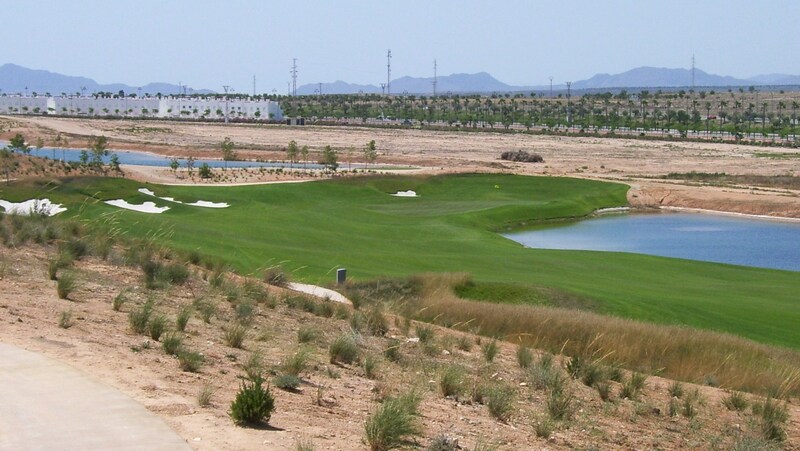 Also don’t forget that our agreement with Hacienda del Alamo has been renewed – Our captain will receive courtesy of the course at all times and the 35 euro green fee is still available to our members any day of the year (except competitions). When we have the minutes agreed I will post anything not already covered on this website.